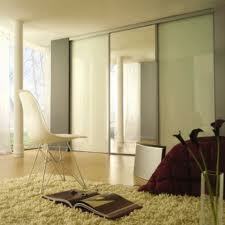 A sliding wardrobe door is very often a practical solution to covering your wardrobe. It is ideal when you don't have much space in the room, or if there is a light fitting hanging in the way of a hinged door. But a sliding wardrobe door can also be a distinctive design statement. 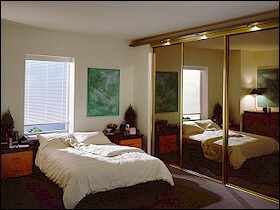 Take a mirrored sliding wardrobe door. While very functional, mirrored doors when placed opposite a large glass door or window, can bring the outside inside. In a small room the reflected image can make the room appear larger than it actually is. Whatever your individual design requirements might be, our consultants will take the time to consider all the options to ensure you have a beautiful wardrobe that complements your needs and at the same time enhance the value of your home.